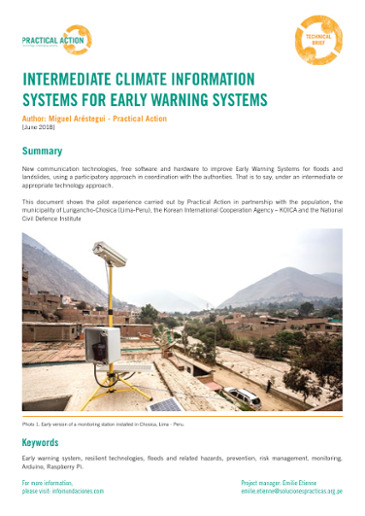 Early warning systems build community resilience to disasters, with the potential to save lives and livelihoods. 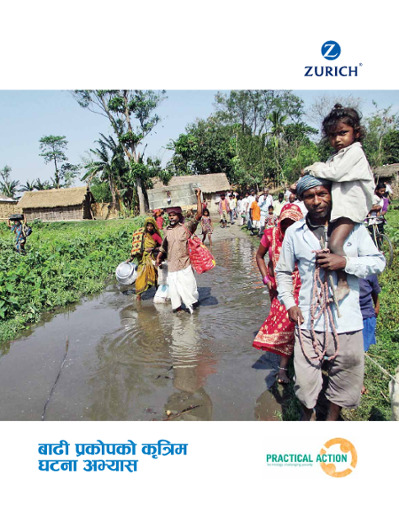 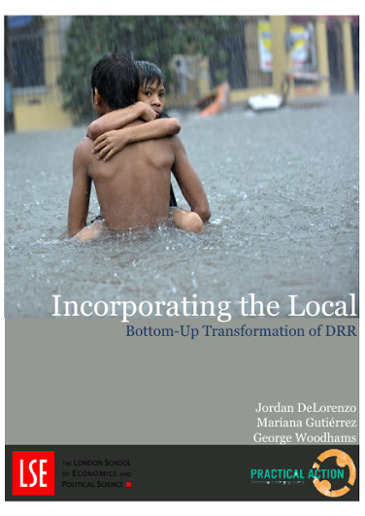 Women and marginalized gender groups face unique barriers in disasters, and EWS that do not explicitly consider gender are likely to increase marginalisation. 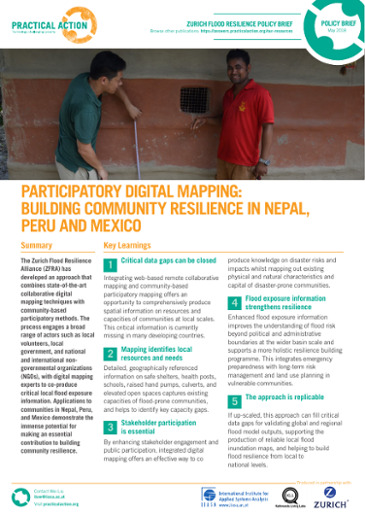 This research extracts key findings and recommendations to ensure no one is left behind. 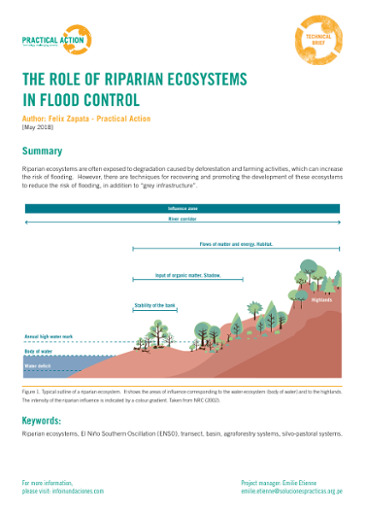 Riparian ecosystems are often exposed to degradation caused by deforestation and farming activities, which can increase the risk of flooding. 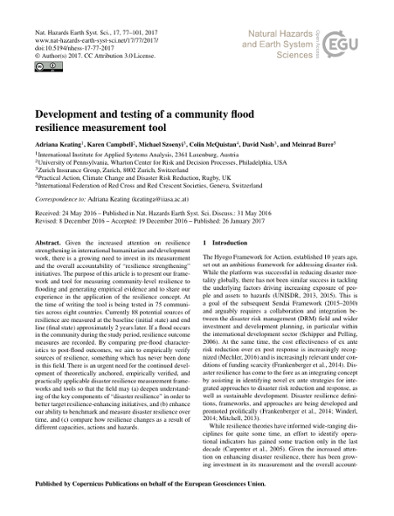 However, there are techniques for recovering and promoting the development of these ecosystems to reduce the risk of flooding, in addition to “grey infrastructure”. 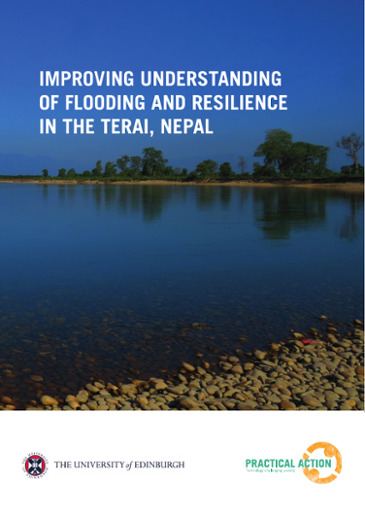 Presentation for the Technology for Development Conference 2018. 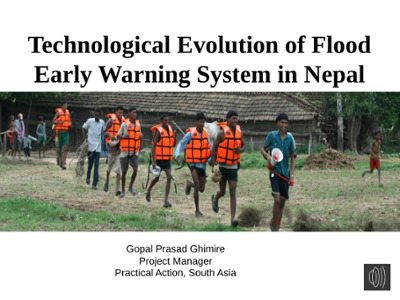 This video presentation by Gopal Ghimire details Practical Action's experience in Nepal on flood early warning systems. 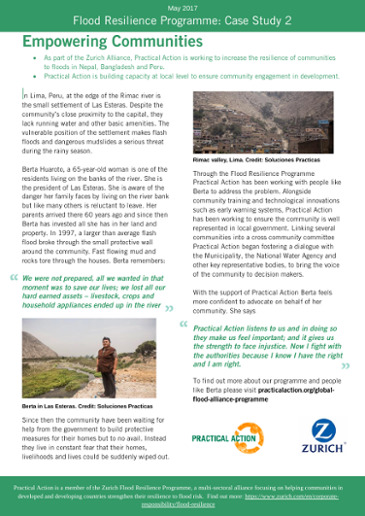 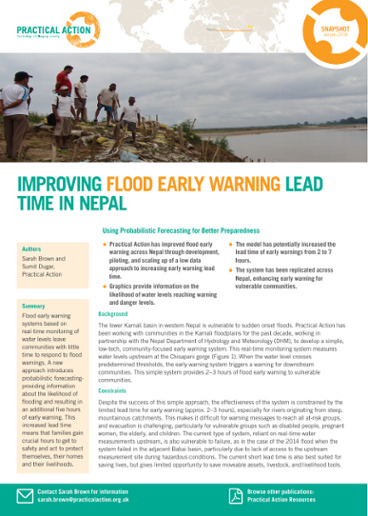 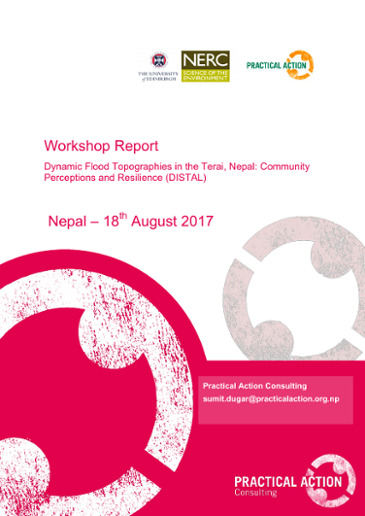 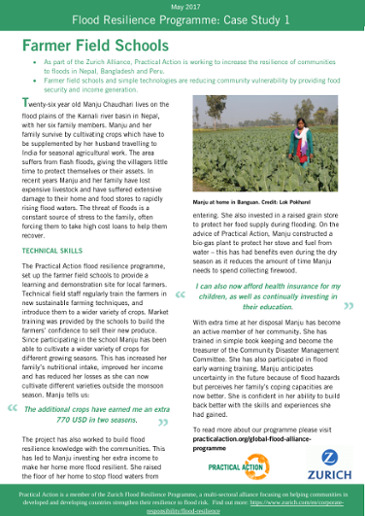 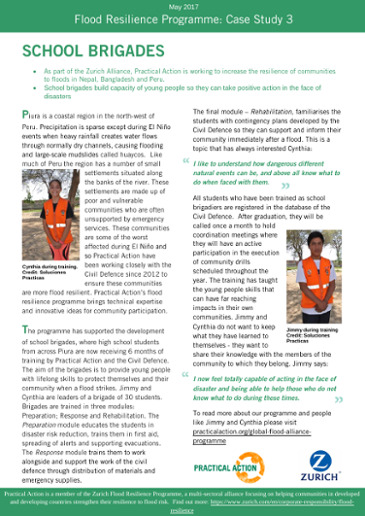 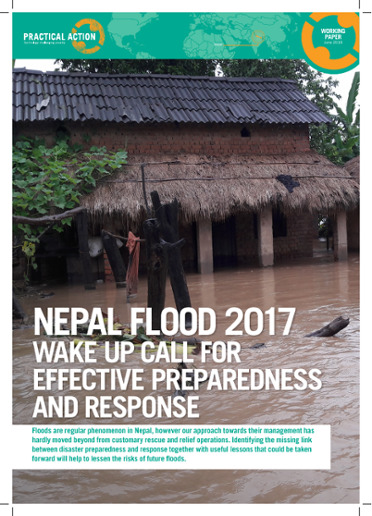 Including an overview of flooding in Nepal and how early warning system technology has developed. 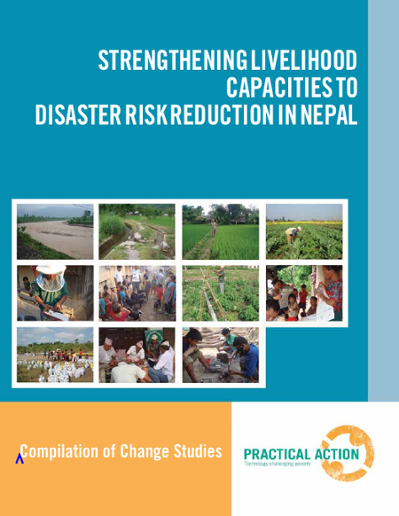 It goes onto assess the effectiveness of these systems and present conclusions and recommendations for the future. 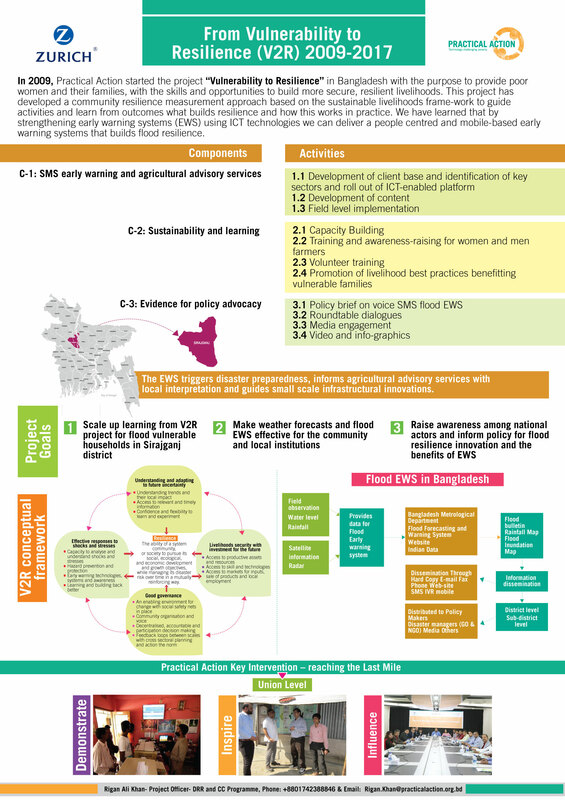 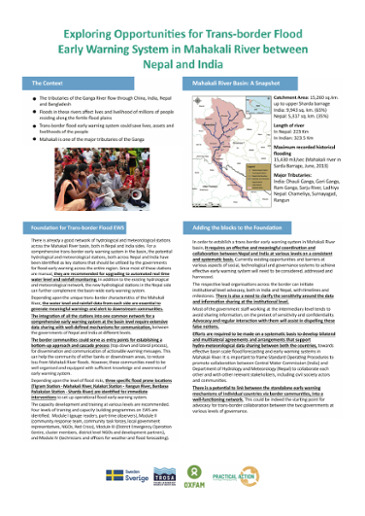 This poster looks at aspects of a project set up by Practical Action in Bangladesh which aimed to enhance early warning systems for flooding.